With features galore, the Blaze stands head and shoulders above the competition. Offers a ton of extras including on-watch workouts, guided breathing sessions, etc. The fitness and activity tracker world is flush with variety yet void of a true monopoly. But amid the many big-name brands (Garmin, Samsung, TomTom, Suunto, etc.) 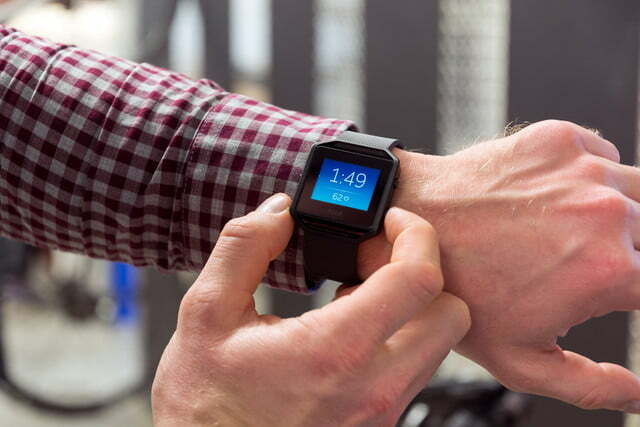 sits one name that’s a de facto leader: Fitbit, the company most synonymous with fitness bands. While each company offers its own version of a flagship, Fitbit took to the task of reimagining the fitness wearable in 2016, designing and manufacturing a jack-of-all-trades watch it dubs the Blaze. Boasting a built-in heart rate monitor, easy-to-access onscreen workouts, an accurate step counter, and an intuitive companion application, the Blaze looked to set a high standard in a crowded field. With just over a year under its belt, the Blaze still stands out among a crowded field of fitness bands and remains (largely) relevant as it barrels down Year 2 of existence. Hell, even the Kansas City Chiefs’ All-Pro cornerback Marcus Peters gave it a ringing endorsement when we strapped one on his wrist last summer. But does it truly possess a rich feature set and effective ecosystem capable of allowing it to continue to be the world-beating activity tracker Fitbit hopes it to be? 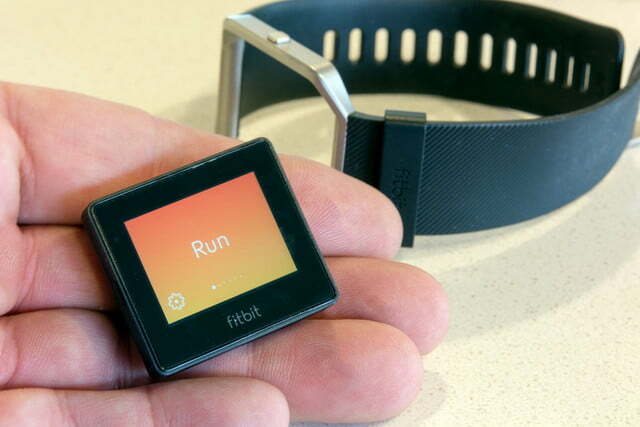 Or is it yet another fitness wearable that’s simply waiting for a bigger, better version to occlude it? To check in on the Blaze and see if it has what it takes to keep up with a rapidly advancing industry, we decided to give the one-year-old fitness tracker a true test of its capability. For our review, we received the standard Fitbit Blaze outfit with a traditional rubber watchband. Other items in the box included the charging apparatus and some informational paperwork detailing how to initially start, pair, and use the device. Most fitness trackers tend to forgo any semblance of style in favor of cutting a low profile. With the Blaze, Fitbit decided to merge style and fitness, allowing buyers to add their own custom flair to the device. Be it a classy leather or stainless-steel band, or a more casual nylon model, Fitbit offers several options to set the Blaze apart. Our review model came only with the standard rubber band. The Blaze also came with a small amount of charge when we pulled it from the box, so we were able to start using the thing right away. The Blaze itself is a square tracker, outfit with a PurePulse heart rate monitor on its backside; it clips neatly into the watchband before letting you pair via Bluetooth to its companion application. You don’t necessarily have to do this, but why have a fitness tracker if you aren’t interested in full-blown tracking? Once setup and pairing completes, the never-ending game of “10,000 steps per day” begins, and we found this simple device pushed us to reach that plateau more often than if we were tracker-less. A few users around our office reported spotty Bluetooth syncing issues. Older versions of the Blaze software featured an option in the Settings tab that allowed wearers to, in effect, turn Bluetooth pairing on. Recent updates have since removed this feature, making it a touch harder to make the watch actively look for a Bluetooth connection if it is lost. Turning off the watch and completely unpairing it from our smartphone seemed to fix the problem, though it was still a hassle. 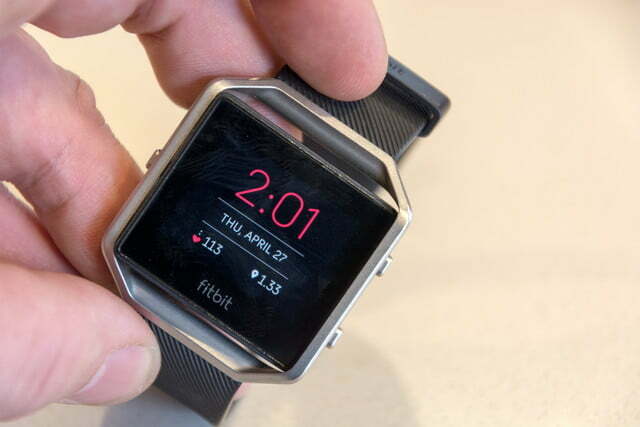 If there’s one thing Fitbit’s Blaze has in spades, it’s features. Hardly just an expensive pedometer, the Blaze lets users accurately track their active and resting heart rate, calories burned per day, and flights of stairs climbed, while also providing a detailed report of how they sleep each night. 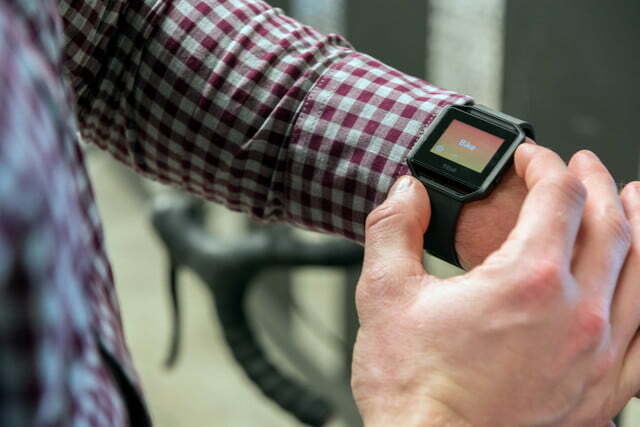 Few fitness or activity trackers function as efficiently and effectively as Fitbit’s Blaze. 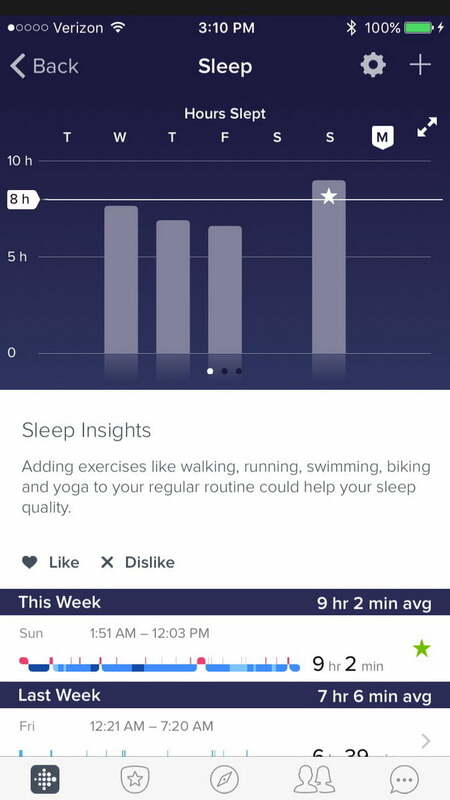 From the watch itself, Fitbit offers a quick look at the day’s statistics, and affords wearers the ability to select specific workouts for it to track. Under the Exercise option, selecting Run, Bike, Weights, or Treadmill (among others) signals to its companion smartphone to monitor for the chosen activity. We did have some trouble with the Treadmill feature, which would periodically fail to record steps and distance accurately during our time. For example, after spending 25 minutes on the treadmill and logging just over three miles, the watch said we had taken only a few hundred steps and ran 0.1 miles — not only was this incorrect but it had a ripple effect on the rest of our recorded fitness data. We mentioned this error to a few colleagues (who also use the Blaze on a regular basis); none experienced a similar issue, and we only experienced it from time to time. Still, it happened just frequently enough to become an annoyance. The rest of what the Blaze gets right makes this small tracking issue seem irrelevant. From the ability to accurately monitor heart rate and calories burned to finding out the specific times we tossed and turned each night, the data Fitbit makes available is enough to reap constant reward from the Blaze. Additionally, the companion app (more on this below) even allows you to upload the amount of water you drink each day, as well as what you’ve eaten, which helped steer us in terms of daily H20 and calorie intake. Other useful features we enjoyed with the Blaze were its Music Control functionality, which let us adjust the volume of a song and pause, play, or skip it, and quick on-screen notifications that let us easily view incoming text messages and phone calls without pulling out our smartphone. 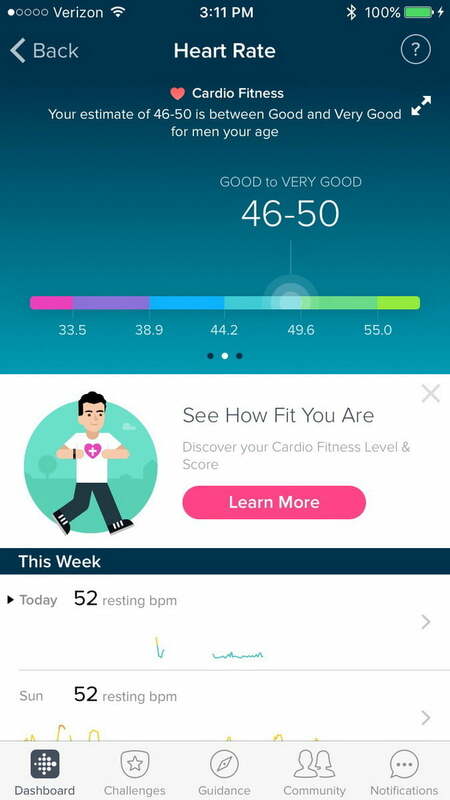 Fitbit includes a Guided Breathing feature too, which offered personalized breathing routines based on our heart rate. Though we didn’t use this often, it did prove relaxing to indulge in a breathing exercise from time to time — think of it as a guided meditation. Led primarily by its features and how a wearer interacts with them, the performance of the Blaze is one of its hallmarks. Though our visit with Marcus Peters showed it struggling to keep up with his elite workout, the watch’s step and calorie counter performed admirably during our mere mortal workout. From runs around Portland to lifting weights, cycling, and going the distance on the treadmill, the Blaze (like us) stayed very active during our testing. We experienced no noticeable discomfort with the Blaze during our workouts, as it remained relatively unnoticeable on our wrist. Even while engaging in an activity such as the flat dumbbell press, its position never impeded our range of motion or held us back from completing a lift. Additionally, it failed to feel heavy during longer runs — something a pair of headphones even has the tendency to accomplish. One aspect of the band we did find to be a bit of a nuisance was its ability to cause a small rash on our wrist after a few days, even with washing it after working out or running. Though the rash went away after a couple days without the Blaze, this wasn’t something we particularly enjoyed. 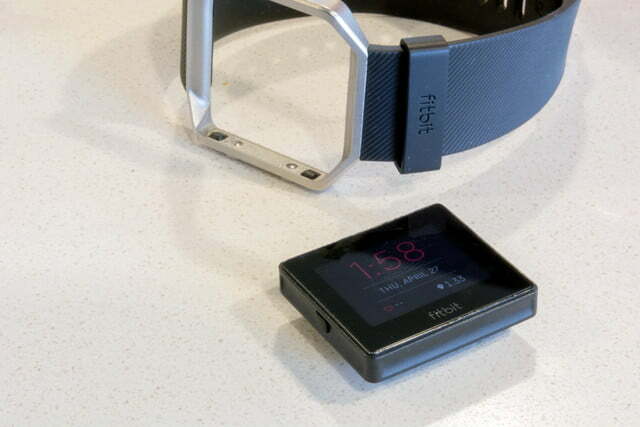 Fitbit had similar complaints from users of the Charge and Surge. The company suggested at the time that users keep the device clean, and we remedied the problem by washing the band not just after working out but also in the morning and at night. Because of this, we can’t stress enough how important it is to keep the band clean daily. 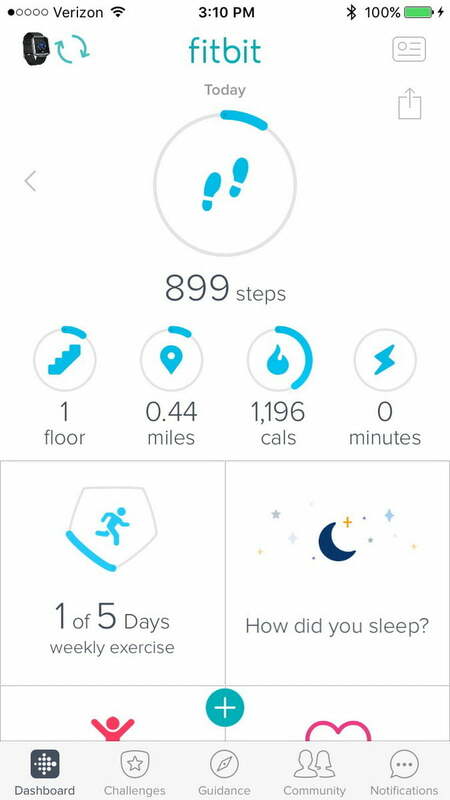 More than just an amalgamation of data, the companion Fitbit app provides incredible insight into your daily life. Be it the number of steps taken or flights of stairs climbed per day to the number of calories burned, hours of REM sleep achieved, or the effects of your daily heart rate, the app lets you perfectly tailor your daily activity levels. We found it especially effective at keeping us driven towards besting our prior day’s stats. If we notched 12,000 steps one day, we worked to hit 12,500 or 13,000 the next. 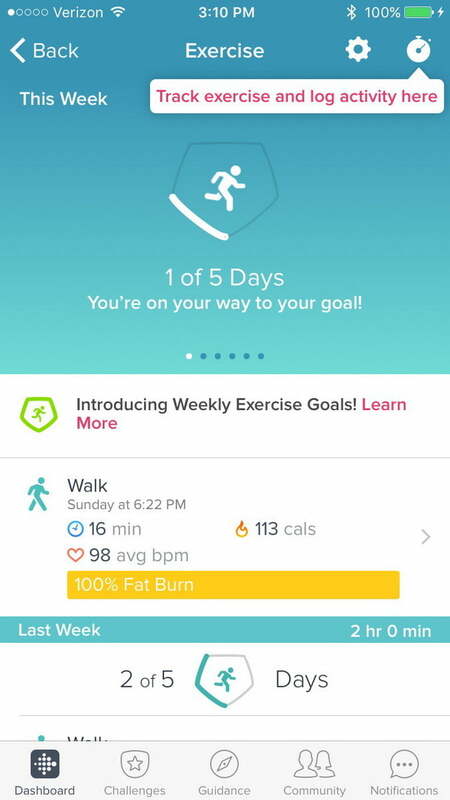 This kind of personal competition worked for us, but Fitbit also lets you add friends via the app and participate in daily, weekly, and monthly competitions. It then pits everyone against each other in an ultimate battle: Who will step their way to supremacy? If a healthy lifestyle and uptick in daily fitness is the goal, the smartphone app is just as much of a tool as the wearable itself. While much of the data it presented is viewable (in some capacity) via the Blaze, the ability to navigate it in an easy-to-read format is a solid extra. This adds even more value to the Blaze’s $200 price tag, as Fitbit essentially offers a fully-functional fitness band coupled with a feedback-driven application — to us, that’s money well spent. 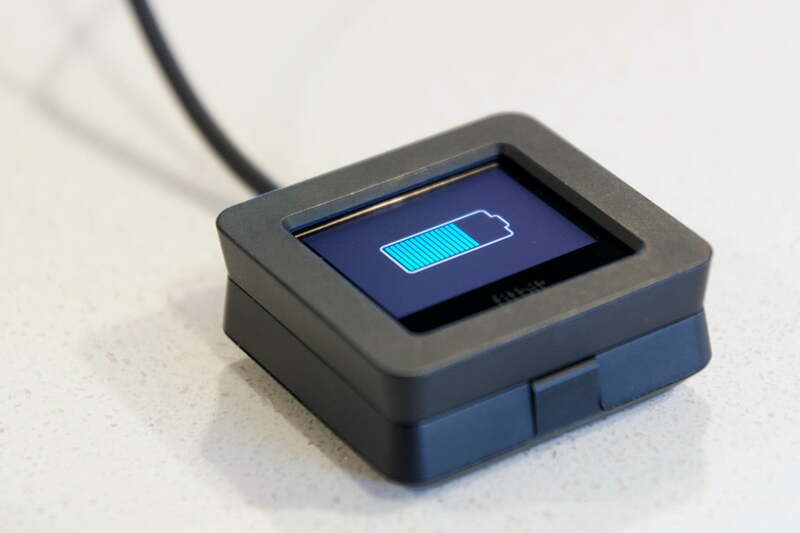 Fitbit boasts that the Blaze has a battery life of up to five days. We tended to pop it into its charger more frequently than that, though this could be due to the sheer act of continuously using it. An iPhone battery may last several days if you don’t actually use the thing, but start Tweeting or texting or YouTubing and the battery depletes rapidly. While the same isn’t entirely true of the Blaze — our battery life experience was quite positive — the same general principle holds: The more you use it, the faster it depletes. The Fitbit app provides incredible insight into your daily life. Due in large part to the fact it’s a fitness tracker capable of keeping tabs on nearly every part of your life (both waking and sleeping), taking it off to recharge tends to incite withdrawal symptoms. Your continuous improvement is a pillar of the Fitbit system, so taking the watch off to recharge throws a wrench into this progress. We struggled to find the perfect time to forgo an hour and a half to two hours of tracking to fully recharge it. 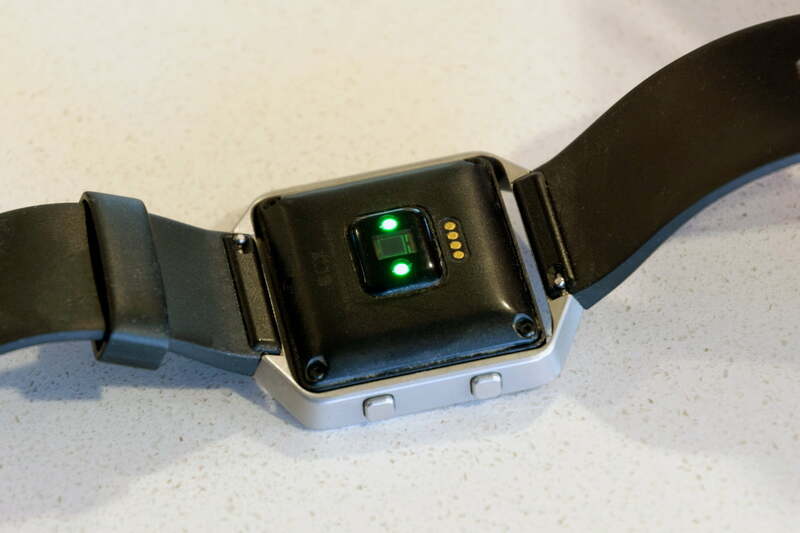 That said, a wearable that’s capable of going days on end without a recharge is a welcome sight — and also par for the course for most fitness trackers these days, though you might get a tad more with the TomTom Spark 3 and Adventure. Fitbit offers Blaze owners an initial 45-day money back guarantee, along with a one-year limited warranty which covers manufacturer defects. 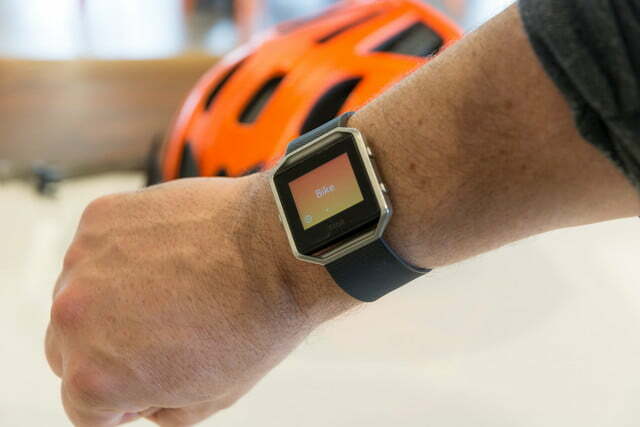 Few fitness or activity trackers function as efficiently and effectively as Fitbit’s Blaze. A comfortable wearable, the Blaze gives users access to a wide variety of relevant information such as an accurate heart rate reading, steps counted per day, calories burned, and an innovative sleep tracker. At $200, it sits middle of the pack in terms of price but stands head and shoulders above its competition for its accuracy, abundance of features, flexible style, and overall productiveness. Due to the massive popularity of fitness trackers, there exists a sea of options — though not all are up to the task of being the best. The Fitbit Blaze’s immediate competition lies with the likes of Samsung’s Gear Fit 2 and Garmin’s Vivosmart HR+. Samsung outfits the Gear Fit 2 — which we called the “best fitness tracker we’ve used” — with the ability to stream music during workouts, giving it a leg up on Fitbit’s Blaze, which only controls music streamed via a smartphone. The Gear Fit 2’s downside? It’s only compatible with Android phones. Garmin’s Vivosmart HR+ (which works with both iOS and Android phones) took the traditional route in terms of aesthetics, yet still packs a punch when it comes to features. Boasting GPS, sleep tracking, heart-rate monitoring, and automatic workout tracking, this sleek fitness band is a runner’s dream. 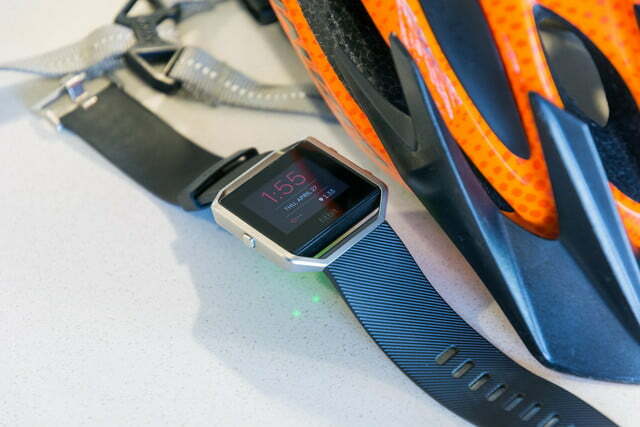 Its $220 price tag does seem to cross a threshold, though GPS alone is worth the extra $20. Like so many gadgets, fitness trackers appear to become outdated nearly every year. The key word here is “appear,” as Fitbit designed the Blaze to remain relevant for many years. With the ability to issue updates to both the watch and the companion app, Fitbit stays committed to keeping its top-of-the-line tracker… well, at the top of the line. Indeed, the Blaze underwent several updates in the year since its March 2016 release that not only worked out some early bugs but offered users an expanded feature set. Even as the brand gears up to inevitably release a new fitness tracker, you can expect a few good years with the Blaze. Yes. 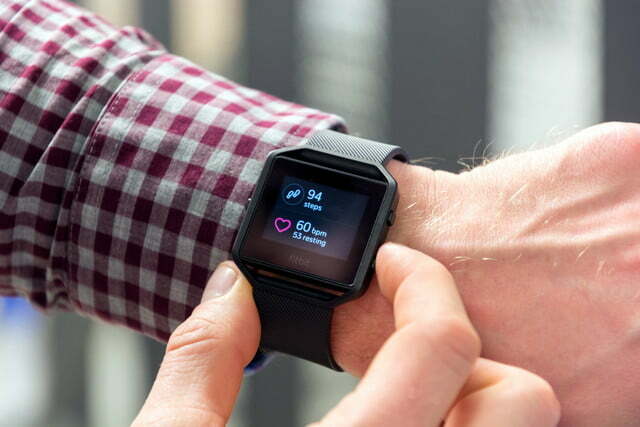 Fitbit’s Blaze is packed to the limit with useful tracking information, giving wearers the ability to not just brag about their daily steps but also calories burned, number of hours spent in REM sleep, stairs climbed, and daily hours active. 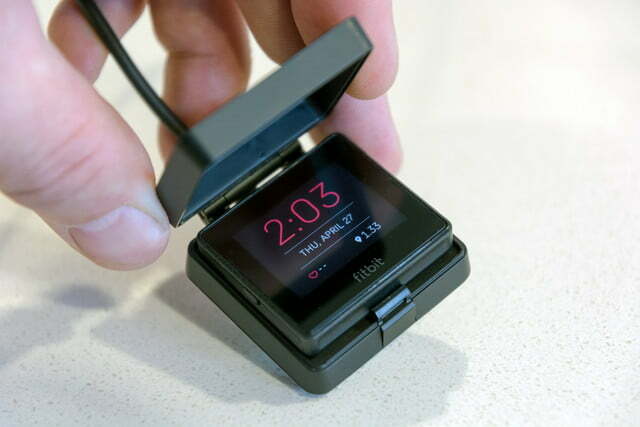 The watch itself also boasts tailored workouts accessible directly on the device, features an intuitive interface, and includes an in-depth app experience that centralizes the entirety of a user’s data in one easily digestible package. Additionally, it has the ability of recognizing various workouts (running, cycling, tennis, etc.) automatically and piggybacks off a paired smartphone’s positioning data to accurately assess movements — this helps tremendously as the watch doesn’t feature native GPS. For those looking for style in addition to substance, Fitbit offers an array of interchangeable bands fit for any occasion. Leather and stainless-steel bands dress it up while nylon gives off an ultra-casual vibe. Priced at $200, the Blaze isn’t necessarily the cheapest of the activity tracking bunch, but its extensive feature set, useful companion app, and stylish aesthetic make it one of the best choices in an increasingly crowded field.